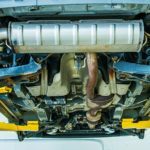 We need to understand the basics of how a power steering system works before we can develop an assessment technique. At its most basic level, the steering system’s power steering pump can generate up to 2,000 psi of hydraulic pressure. This hydraulic pressure is metered to a steering assist cylinder through a steering gear pressure control valve. On modern vehicles, both the cylinder and valve are integral to the steering gear assembly. Most steering systems incorporate a torsion bar into the steering gear input shaft, which allows a slight amount of deflection to take place in the shaft as torque is applied to the steering wheel. When the torsion bar is connected to the steering gear control valve, the rate of oil flow into the power steering assist cylinder varies according to the amount of deflection in the steering shaft torsion bar. Some systems also incorporate a reaction disc at either end of the steering pinion or worm gear. One of the reaction discs compresses as torque is applied to the steering wheel as the steering gear changes direction. Here again, the steering control valve responds to the movement of the steering pinion gear to help modulate the flow of oil into the assist cylinder. 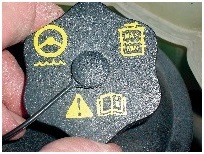 When assessing a power steering complaint, it’s ­important to consider the complete system. If, for ­example, the steering pump is worn out, the system hydraulics will likely be full of metallic particles. Worn steering hoses can similarly shed material into the oil stream, which can cause steering-assist complaints due to clogging of the steering control valve ports. Hardened or deteriorated hoses can also potentially develop ­internal stress faults after they’ve been reinstalled. It’s always better to recommend new hoses to go with the new power steering pump or steering rack, and a thorough flushing of the system, when any major part is replaced. A dry park test is performed with the transmission in “park” and the front wheels on the ground. 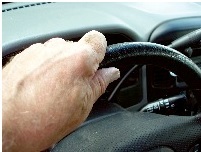 After starting the engine, check for a “bump” or movement in the steering wheel as the engine starts. Stand outside the vehicle and rock the steering wheel. If there’s excess play or if you hear knocking noises, the power steering system needs attention. If movement is detected, the power steering gear might have developed an unequal steering assist in one direction or the other. Next, check for a smooth power assist. If the assist is uneven or jerky, inspect the power steering pump fluid level and check the drive belt condition and adjustment. If the fluid level is low, check for leaks at the pump, hoses or the steering gear or rack oil seals. If the belt is worn or glazed, it should be replaced. 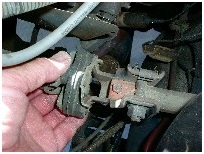 Binding strut support bearings or seized ball joints can cause the steering to feel heavy and unresponsive. When turning the steering wheel several times from lock to lock, power assist should feel even from side to side and the steering wheel should feel immediately responsive to changes in direction. If the right-to-left and left-to-right assist isn’t equal, the steering gear’s control valve system could be at fault. If there’s excessive play in the steering wheel, inspect the steering shaft universal joint, steering gear, steering gear mounts and steering linkage for looseness and wear. Always inspect the ­universal joint for wear and loose bolts. When the steering gear reaches full lock, a hissing noise usually indicates that the oil pressure bypass is limiting the pump’s maximum pressure. If the drive belt squeals at full lock, the belt is slipping due to wear or incorrect adjustment. 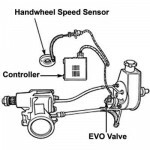 The exception to the above tests might be a power steering pump in which the Powertrain Control Module (PCM) controls oil pressure through a pulse-modulated pressure control valve on the steering pump. Because a variable-assist system responds to vehicle speed and other driving conditions, the diagnostics vary ­according to application. Always test for trouble codes stored in the PCM and check scan tool menus for available data and performance tests on any modulated system. Always begin by checking the power steering fluid level because the steering pump is the heart of the power steering system. If the level is low, we could assume that the system is leaking fluid. Next, it’s important to check the color and viscosity of the fluid. Normal color is red or straw-colored. 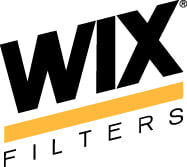 Blackened fluid might indicate that the hoses are ­deteriorating or that the power steering pump itself is worn. If the fluid appears extremely viscous, the fluid might have been contaminated with motor oil or other lubricant. If the fluid has an odd odor, it’s possible that an inexperienced technician has added brake fluid to the reservoir. In any case, if the fluid appears contaminated, the system needs a thorough flushing with the specified fluid. 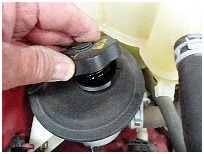 Check the steering assist again after the pump and fluid warms up. If the pump produces noticeably less assist when hot, it’s probably worn. If the pump is noisy, check the fluid for foaming. If the fluid is foaming, it might be contaminated and the system might require flushing to correct this condition. Although it’s rare, internal leakage inside the steering assist cylinder can’t be discounted if steering assist deteriorates as the fluid warms up. At this point, it’s best to recommend pressure-testing the steering pump. 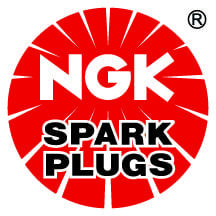 Of course, gaining access to the high-pressure hydraulic connections at the power steering pump or steering gear can be difficult, if not altogether impossible, on modern engines. 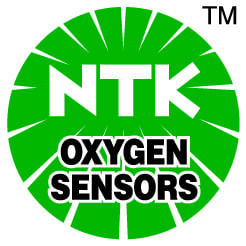 Because testing is application-specific, it’s important to have manufacturer’s specifications at hand before recommending a pressure test to your customer. Conventional steering gears are extremely reliable and most of the failures involve leakage around the steering shaft and sector shaft seals. 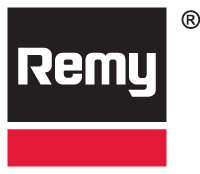 In high-mileage cases, the steering gear might be slightly worn and require a sector shaft adjustment to remove excessive steering wheel play. With the engine running and a helper rocking the steering wheel, observe the end play at the steering shaft. Keep in mind that the steering shaft is pushing against its reaction discs, so the shaft should move in or out about 1/16 of an inch as the steering wheel is slowly rocked right and left. Similarly, watch the movement in the output or sector shaft. The sector shaft will tend to move fore and aft as the steering wheel is slowly rocked right and left if the sector shaft bushings or housing are worn. In addition, if the sector shaft will show a polished ring around the shaft at the seal contact point, it has excess end-play. In most cases, a simple sector shaft adjustment will restore the gear to normal operation. Make sure the steering is centered at the “high point” on the steering gear with the Pitman arm pivot points parallel to the frame and the steering wheel correctly indexed to its shaft when adjusting the sector shaft end-play in-chassis. The sector shaft adjusting screw should be turned in until end-play is removed. A good rule of thumb is, before tightening the lock nut, back the adjustment screw out one-half turn to allow for heat expansion, unless otherwise specified. When properly adjusted with the steering linkage disconnected, the steering gear should have a slight amount of play on either side of the steering gear high point. The gear should easily rotate through the high point, but the high point itself should not exhibit play in the steering wheel. With the vehicle on a lift grasp the tire at the 9 and 3 o’clock positions and rock the wheel in and out. 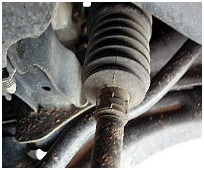 If a clicking noise is heard, the inner tie rod end is probably worn where it connects to the steering rack. While we’re looking at the steering rack, check for external oil leakage at the boots and also feel the boot to see if it’s filled with oil. Always squeeze steering rack boots to see if they’re filled with oil. Boots that are torn should be ­immediately ­replaced. If the boot is full of oil, the rack seals are leaking and the rack should be replaced. Because loose steering rack mounts will cause steering wander, it’s important to inspect the mounts for deterioration.